Nintendo announced earlier this year the launch of their paid online service which will be coming to the platform in September 2018. They now open up pre-purchase for subscriptions. Nintendo‘s new subscription service allows the ability to play with friends online. At the moment the service is free to try but September will be the launch of the subscription service. You can pre-purchase a 12 month subscription from the eShop which is priced at $19.99. In order to ensure online play come launch day, pre-purchase your subscription. You can also pick one up from Amazon for $19.99. 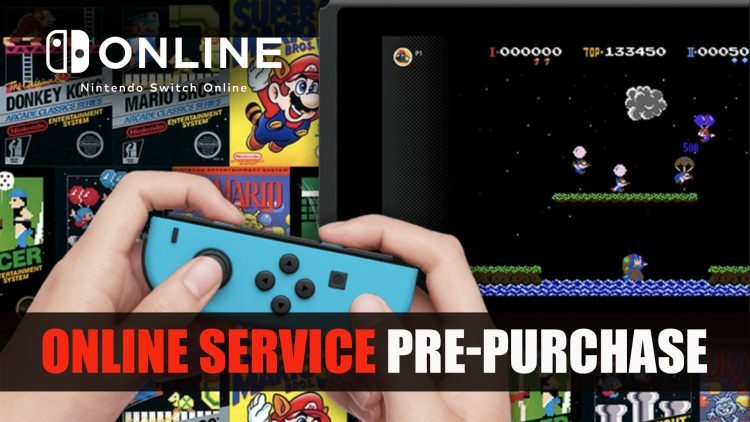 If you enjoyed reading this news be sure to check more details on subscription service in Nintendo Switch Online Service Will Come With 20 NES Games And Cloud Services. You can also read upcoming releases coming to the platform in Salt And Sanctuary Releases On Nintendo Switch On August 2nd 2018 and Nintendo Reveals Let’s Go, Pikachu! And Let’s Go Eevee! For Nintendo Switch.